Growing up in southern California’s South Bay during the forties and fifties, there was a natural fascination for fast cars in the heyday of hot rods, custom cars, dry lakes and street racing. Oval track competition was somewhat foreign, since the Howard family was not interested in motoracing. About 1954, Howard got involved with a neighbor, who had purchased a Jalopy and needed someone to tow it to the Orange Show Fairgrounds in San Bernardino. There was no trailer, just a chain, as they journeyed down the old highways through small communities along the way. It wasn’t long until Glenn purchased a Jalopy racer and began competing with his neighbor at venues such as Culver City, Gardena Stadium and Western Speedway among others. By now, Glenn had drunk the Kool-Aid and was hooked for life on auto racing. He advanced to the Modifieds, which were similar to the sprint cars, but sporting roll cages and wings. When the Modified group folded in 1969, racers removed the cages and wings and joined the California Racing Association, running as sprint cars. After a short career as a sprint car racer, Glenn’s wife urged him to stick with his day job as a Brake and Front-End specialist at a Firestone dealership. This triggered a call to his son, Gary in the Midwest offering him the much-coveted ride with Dad, now acting as the Car Owner. Howard got his wife Pat a job at Ascot as a scorer for CAR, which helped to keep her involved in their love of Super-Modified racing. After retiring from Firestone, Glenn converted from brake and front-end work to running a racing shop, maintaining his car and building his own engines. Howard befriended Paul Wiessner of Atlas Engine Rebuilders, who encouraged him to look into distribution of speed parts. One of Glenn’s first forays into this venue was obtaining good quality flat and round aluminum bar stock, which was difficult to obtain in Australia, then shipping it in 20-foot containers to be machined into items such as racing spindles and suspension parts. Glenn shared fond memories of traveling to Knoxville Nationals in Iowa with his son, Steve in 1977, where they suffered mechanical maladies and missed the show. Returning the following year, they journeyed as a couple of vagabonds, in the nature of the original outlaws. For two and one-half months, they stopped at tracks throughout the Midwest from Memphis to Canada, making enough money to get them to the next show. They only spent two nights at a motel during this period. Often they slept in their truck or were offered lodging at someone’s home. When they returned to Southern California, they were only $100 in the hole. In 1980, Glenn, through his years of racing involvement, recognized the need to be able to obtain both new and used parts to keep racing teams going at the track and during the week. He would buy a used complete racecar and then part it out selling a reliable used part to a struggling team. He merged this new operation with So-Cal Fuels, which serviced Ascot Park, Drag racers and Off-Road competitors. The new firm was So-Cal Performance and Howard soon established ties with various suppliers of racing parts and materials, making it available to the local competitors. One of his early products was a Styrofoam Mud Plug, used to prevent mud from collecting inside the wheel and causing it to go unbalanced. He and his wife, Pat produced these at home in the evenings, with Glenn cutting them out on his machine and Pat handling the packaging. While Glenn surveyed the needs of his customers, adding new lines of supplies, Pat managed the books. Three of his leading product suppliers are Sander Engineering, MPD products and Hoosier Tires. The business has always catered to his first love of open wheel racing, but has continued to expand the business, first established as So-Cal Fuels. Drag racing and off-road racing are also big customers of So-Cal Performance. The Howards provide fuel and tires for both of these lines of competition. In fact, Steve Howard now works in the business and has become a specialist at mounting and balancing the big drag tires. Glenn has relocated twice since he began after the buildings were sold and he was forced to move. He now owns the building, so he has a kinder, gentler landlord. In late 1993, there was much unrest in the southern California sprint car-racing scene. 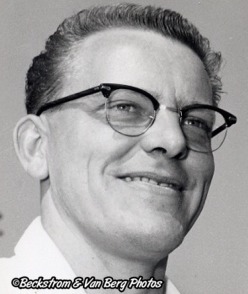 Howard drawing on his business savvy and an affinity for the open-wheel racers was one of the individuals who spearheaded the creation of the Sprint Car Racing Association (SCRA). 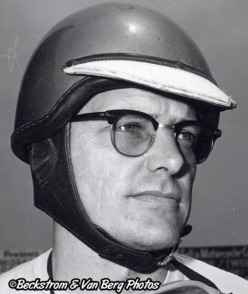 Howard was elected President of the Club and negotiated for a schedule that would both showcase the racers and provide them with a sensible agenda of competition throughout the year. So-Cal Performance became a tire and fuel supplier for Irwindale Speedway when it was opened in 1999. This added a number of lines of stock car products to the inventory. So-Cal has provided an “at track” service for the racers available at many venues. The Howards know the racers and the racers know they will receive prompt and correct customer service. Since Steve joined the family business, he has added a section for racing books, magazines and periodicals. Also now on board, is a line of racing apparel, especially for women. Glenn mentioned a couple of gratifying experiences from his racing years. First was when his son, Gary set the first nineteen second lap at Ascot in Glenn’s car and later when Steve also joined the Nineteen Second Club. He has fond memories of the journey that he and Steve took in 1978, racing with the best drivers in the country on nearly a daily basis. They got to see much of the country and established long-lasting friendships that still exist today. Oh by the way, that neighbor who first got Glenn Howard to tow his racecar was some guy named Parnelli Jones.